Henry completed his MArch at Newcastle University where he subsequently developed a material & technical passion for architecture. 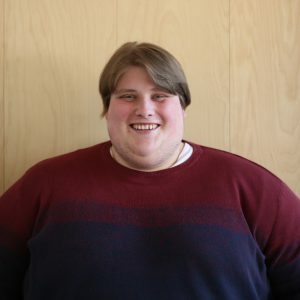 He joined BUJ in 2018 and is now looking to try out life in London – a bit closer to home. Having recently joined BUJ in 2018 Henry’s main responsibilities include assisting the construction team with coordination on technical packages for ongoing, large-scale mixed-use developments. He has spent most of his architectural studies in the north of the UK, studying architecture previously at Liverpool & then in Newcastle. Henry has since been involved with a series of live build projects including the design of a pavilion in Kielder & Cabin in Hungary. He spent his year out at AR Design Studio in Winchester where he worked on smaller residential private homes, then came to London to try a new branch of residential architecture. Outside of work Henry likes spending time with friends, exploring London, watching rugby, going to festivals, seeing music concerts and travelling. This largely influences much of his interest in photography; often visiting rural, cultural and architectural landscapes through his camera lens. 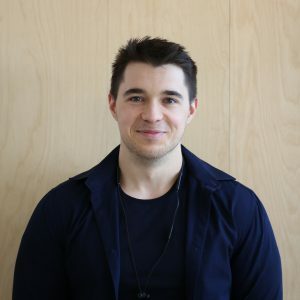 Part I Architectural Assistant Vlad joined BUJ in 2018 after graduating his BArch degree with honours from Greenwich University. Vlad is part of the Planning Team and is responsible for producing CAD drawings, renders and 3D models. He enjoys tinkering with every detail in every drawing and is always excited to learn and be part of the design process. During his studies at the University of Greenwich Vlad was an active part of the Workshop and Studio Support Team. He is knowledgeable of all aspects of model-making, having worked with a wide range of machinery from laser cutters to 3DPrinters, and CNCs to bandsaws. He graduated in September 2017 before briefly working at Barr Gazetas & Wilkinson Eyre. Vlad enjoys working on models and is often guilty of sticking his fingers together or burning his hands with a hot glue gun. 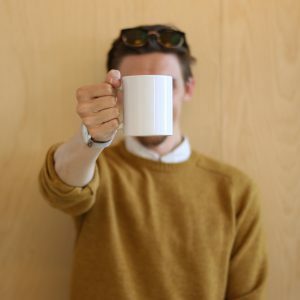 He is sometimes involved with design challenges, stumbled upon online, and otherwise likes to spend as much of his time as possible in the outdoors. Lisa joined BUJ Architects in 2015 after a rewarding 14-year career where arts and architecture merged into a Barbadian vernacular. As a key member of the Construction Team, Lisa currently focuses on detailed design and construction documentation for major post-planning Residential and Mixed-use projects across London. 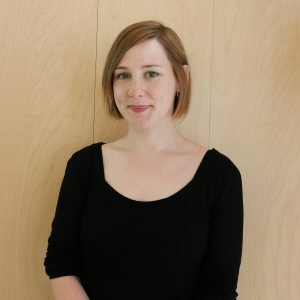 Having completed a BArch(Hons) from the New York Institute of Technology – NYC, Lisa returned to Barbados and qualified as a Registered Architect while working at Design Collaborative. 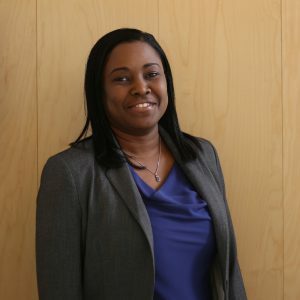 After 10 years of architectural and interior design with construction management in a broad range of sectors on projects across the Caribbean, she expanded her skill set with a MSc(Merit) in Project Management from the University of Liverpool UK. Other roles have included Supervisory Site Architect for Ground Kent Architects on the Four Seasons Hotel Barbados and Technical Project Officer at the Queen Elizabeth Hospital (Barbados) before moving to the UK. With a passion for teaching which began at college in English, Maths and Physics and spanned to a tenure at the Barbados Community College in Interior Design, Lisa is still busy with event and residential design and planning. Architectural Assistant Katie returned to BUJ in 2013 and is currently a RIBA Studio Student. Working on a multitude of projects at BUJ over the last 10 years, Katie has extensive experience in all stages of planning. 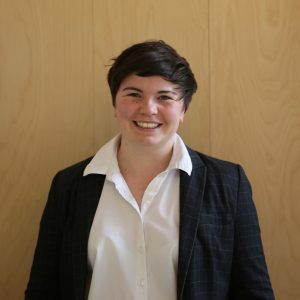 She excels in assisting with successful planning permissions, working on the early construction detail stages of major projects and keeping the team happy, with the organisation of office socials. 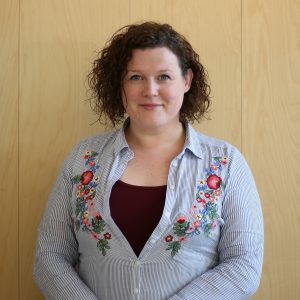 Katie initially worked for BUJ shortly after completing her architecture degree at Plymouth University, before spending a few years away managing a restaurant and studying for a degree in IT and Computing with the Open University. Following this, she returned to BUJ where she is now studying towards her Part II qualification with the RIBA’s Studio Diploma course, with support from Partner Frank Green. As a part-time student and full-time employee, Katie likes to spend any free time she finds between the late-nights and early-mornings exploring London or digging up weeds in her allotment. Kiryn is the Office Manager at BUJ, keeping the office, team and partners in order. Kiryn has dealt with the day to day running of the office since joining BUJ in 2005 and has over a decade of experience in administration. When she is not in the office, Kiryn is proud to be in her own children’s Spanish clothing boutique which she founded in 2016. Currently, Kiryn is undertaking a sewing course which she is thoroughly enjoying. 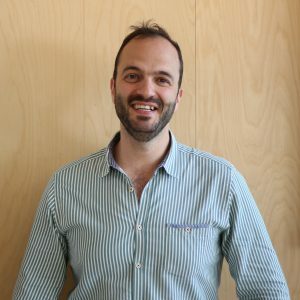 Rosmimi qualified as an Architect in 2000 following graduation from the University of Arkansas with a Bachelor of Architecture and from University College London with an MArch in Building and Design Development. Rosmimi worked at BUJ from 1987 until 2000 and re-joined in 2004 until present. As a key member of the construction team, she is responsible for the production of construction documentation and working drawings in addition to liaising with clients and consultants. After studying in the United States at the University of Fayetteville, Arkansas, Rosmimi undertook an Architecture Urban study at Harvard University, Boston, Massachusetts. During her study, she had a summer internship with Warren and Goodin Architect-Engineers Inc in Springfield, Missouri and a 1-year internship after graduation at Jack Ball Associates. During her internship, she worked on various projects -a High School Design, a small Art Museum and a Juvenile Detention Centre. She later worked for a prestigious Architecture firm in Kuala Lumpur, Kumpulan Architects, and was part of the design team for SAMA World Theme Park. Following this, Rosmimi decided to further her studies at University College London by completing her Master of Architecture, specialising in Building and Urban Design Development. 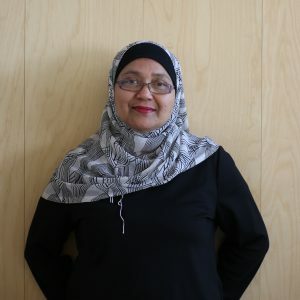 She joined BUJ post-MArch, gaining her ARB Part 3 qualification and went on to work briefly in Hong Kong and Malaysia before re-joining BUJ in 2004. Rosmimi has an incredible range of work experience spanning residential, hotels, airports, schools and juvenile detention centres. Rosmimi loves water sports. She is a Scuba diver, having dived in some of the most beautiful underwater locations in the United States and Malaysia. She loves to swim and travel and at present is kept busy raising her family. Born and raised in East London Robin was fortunate to fall into architecture where his eccentric curiosity and overactive imagination serve as a ceaseless asset. When not discussing the physical impossibility of a Tie fighter, Robin works as a Part II Architectural Assistant in BUJ’s Planning team. He collaborates closely with Project Architects in the conceptualisation and design of schemes from their initial site survey through to planning submission. Robin is passionate about all aspects of his role but finds his greatest satisfaction in the production of creative content for applications. 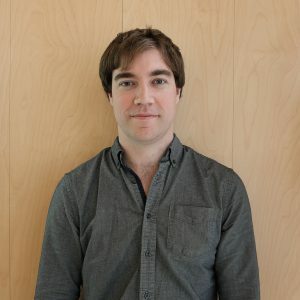 He excels in navigating architectural conditions and translating raw data into easy to understand infographics and diagrams which both are visually engaging and easy to understand. Robin studied both his Undergraduate and Masters in Architecture at the University of East London, graduating the latter in 2016. 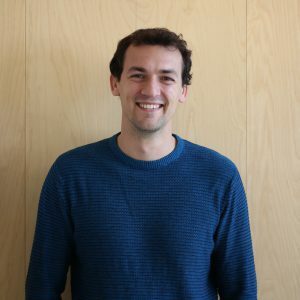 Over the past 5 years he has designed public libraries across Australia, worked across both engineering and architecture as well as collaborating with London councils to engage underprivileged communities through non-profit live build workshops. 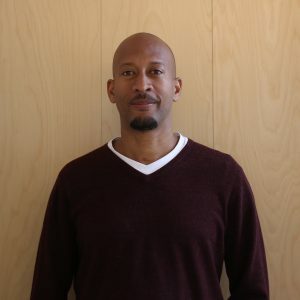 Additionally, Robin won a design competition to land a job at Sir Robert McAlpine, exhibited in the London Festival of Architecture and won an award for the design of a welfare space made out of re-purposed doors at 1 Finsbury Avenue, Broadgate. A proud cockney and loyal Hammer, most weekends Robin can be found in the pouring rain at the London Stadium watching West Ham united lose to a variety of opponents. To deal with the joys of being a West Ham fan, Robin channels his energy through ‘The Blues’ on his – not as of yet out of control – guitar collection. He also finds escape from the reality of the looming relegation zone through sci-fi novels and photographing his friends when they least expect it. Jose is an itinerant Architect with a worldwide experience who calls London home. 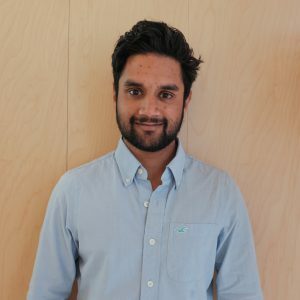 Jose joined BUJ in 2018 to work in the construction team, focussing his time on projects in the late planning stages and early construction details stage. After Graduating at Universidade Lusiada, Lisbon. Jose had experience working as an Architect in cities such as Barcelona, London, Lisbon and Singapore. Jose lived in Barcelona for 2 years, working at Pinearq and Artigues & Sanabria. In London, where he lived previously for 4 years, he worked at Design International. He spent a short period of time Lisbon before moving on to Singapore, where he worked for Saraiva e Associados for 3 years. On returning to London, Jose has gained experience with Leonard Design and Dunthorne Parker. Jose enjoys traveling whenever he can, a bug which he caught and cannot shake, and has a particular interest in Asian cultures. Beyond travel, he is a foodie, loves to dance, socialise with friends, visit museums and go to the cinema. 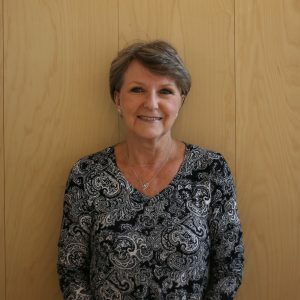 Janet joined BUJ in 2018 as an Office Administrator. Janet welcomes clients and collaborators, along with performing administrative duties. She previously worked at a Stone Masons/Memorial Company for twenty-seven years, which gave her the opportunity to meet and help people from all walks of life. Janet enjoys travelling, meeting new people and socialising with family and friends. 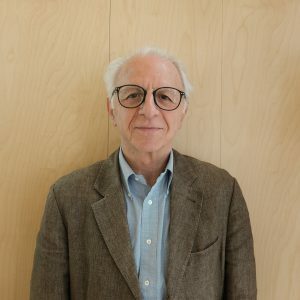 As an Architect and Urban Planner, Bruno is perceptive and always curious about his surroundings, accumulating international experience in countries like Qatar, Angola, Morocco, Algeria, Gabon and Portugal. Having recently joined BUJ Architects after arriving in London, Bruno is relishing the opportunity to engage with the dynamics of design and architecture in London. With five years working professionally, he has integrated easily into the design delivery team. 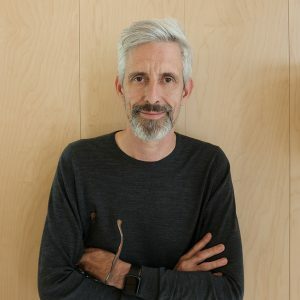 After completing his master’s degree in architecture and urbanism at Lisbon’s architecture faculty, Bruno began his career as a professional in an engineering and architectural firm at which he stayed for close to two years. After this experience which focussed on urbanism, he pursued a role working on luxury housing projects in the Algarve Tourist Market in Portugal where he stayed until January 2018. Bruno’s passions lie in technology and photography, spending much of his time with his camera in search of the perfect photo. He is always seeking answers to difficult questions, devoting the remainder of his time solving Rubik’s cubes and practicing several sports. 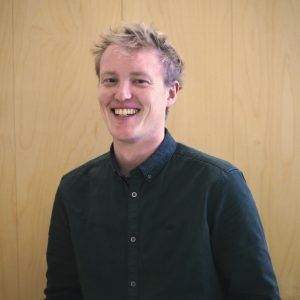 Graduating his M.Arch with a Distinction, Tim left Southend behind to thrive at BUJ Architects in 2018. As a Part II Architectural Assistant, Tim is primarily working with the construction team to deliver large, residential-led, mixed-use developments. Producing details, sections and schedules, he has an active involvement with all consultants on the project to ensure that everything runs smoothly. With a keen interest in BIM, Tim spends every spare minute helping to transition BUJ into Level 2 BIM practice. Previously a Director of a small firm in Southend, Tim gained over 5 years of experience, designing and detailing all types of buildings from high-rise mixed-use developments to restoring 400+ year old farm houses. He twice graduated from the University of Greenwich, initially with a First Class Honours Architecture degree and subsequently with a Distinction for his Masters in Architecture. If he isn’t working, he is either kayaking or swimming. Usually found paddling up to a mile off the coast of Essex, Tim’s ideal holiday is kayaking of the west coast of Scotland searching for Otters and lost Dolphins. Believed to be the longest serving member of the practice excluding the Partners, Steve is a former Royal Marine who is very grateful for the opportunity of touring the world at someone else’s expense, although not always in ideal circumstances. Stephen is the IT & Communications Manager at BUJ. Getting into the IT industry in error when PCs were in their infancy, Stephen initially wondered if they’d ever catch on. 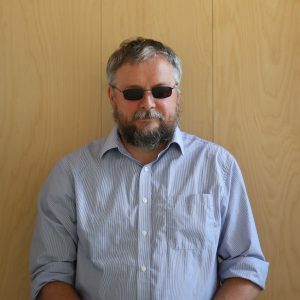 He’s been involved in many aspects of the industry from software development, sales of CAD and solid modelling software, as well as consulting in networking, telecommunications and infrastructure. Steve is also a keen biker and is a National Observer/Tutor for the Institute of Advanced Motorists, teaching advanced riding skills to those who join the charity. He is Chief Marshall of the Guinness record holding Reading Toy Run which is an annual motorcycle charity event supporting a number of children’s charities, particularly Barnardo’s which is a favourite of his. Steve enjoys the diversity of the challenges which running BUJ’s IT estate brings. The technology which we utilise in the practice moves on and his only wish is to remain one page ahead of the rest of us in the user manual. 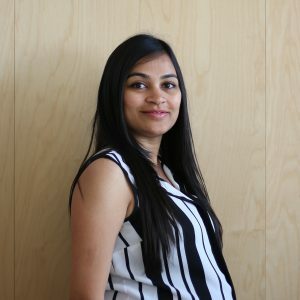 Sabina joined BUJ in 2007 and while working for the practice has finished her Master’s degree in Interior Architecture from Middlesex University. 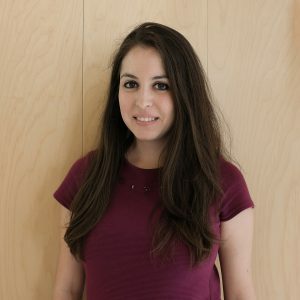 As an Architectural Designer, Sabina has worked on a large variety of projects at various stages, starting from planning to construction completion. Her experience includes refurbishments of residential houses, hotels, offices and large mixed-use developments. Sabina graduated with BA(Hons) in IDEA (Interior Design and Environmental Architecture) from Ravensbourne College in 2007. During her studies she worked at the interior design practice GP Studio where her preference towards architecture developed. 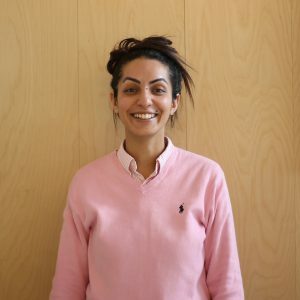 Sabina joined BUJ in 2007 and while working for the practice she finished her Master’s degree in Interior Architecture from Middlesex University with Merit. Before becoming a mum, in the days when she had plenty of free time on her hands, she enjoyed creating art, with a particular emphasis on painting. She participated in numerous art exhibitions across the UK and United States. A few of her paintings are proudly hanging in collectors’ homes. After graduating from the Slovak Technical University she set off travelling around the world and with a little detour on the way home, stopped off in London ‘for half a year‘, joining BUJ Architects in 2005. 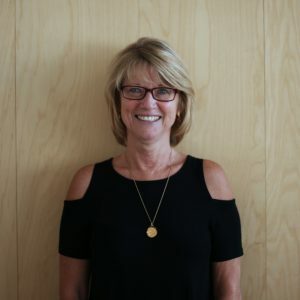 With 15 years of experience, mostly in the housing sector, Barbara is responsible for delivering drawing packages, detailed design and construction documentation on the construction team for residential projects in the UK, liaising with clients, consultants and contractors. After 6 years of working for BUJ in London, Barbara set up the BUJ Architects Bratislava branch which she now runs. Having completed March (Hons) from Slovak Technical University (FA STU) in Bratislava, she travelled for a year, eventually settled in London and started working for BUJ Architects. In 2011 Barbara moved back to Bratislava, worked on residential schemes with local architects, set up her own studio ‘atelier barbar’ with the passion to design housing based on ‘old, good and functionalist’ architectural principles. On top of that, in 2012 she rejoined BUJ Architects and has collaborated with the office ever since. Travelling was/ is/ always will be ‘numero uno’ on her list. If not taking a flight from London to Bratislava, she can be found chilling out on the beach with a book and Negroni, taking a hike to Machu Picchu in a downpour, feeding elephants in Chiang Mai, attending exhibitions in Paris, listening to talks in London, attending the Architectural Biennale in Venice or having a nice dinner at Noma in Copenhagen. In her spare time she is always up for some crazy art workshop such as a calligraphy course or jewellery making from unique La Tagua, an exotic nut from the tropical rainforests, or making a bobbin lace (very hard not to tangle your hands). Her favourite period of art is Art Deco and Bauhaus, and she would love to go back to those bohemian times. Passionate Architect, deeply in love with travelling. Living in London since 2014 after graduating her March in 2011 from CEU University (Madrid, Spain). 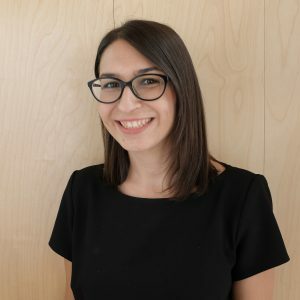 Ester recently joined BUJ as an Architect and is very excited to be a member of the post-planning team where she works on the design and construction of major projects across London which are some of the largest she has ever been involved with. 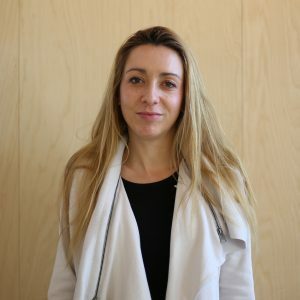 As a qualified Architect with 7 years of experience, Ester has previous experience at Moneo Brock Studio, Madrid Council and Barron Edwards Architecture. She has been involved in all stages of projects across various sectors, finding architecture as the way to change and improve people’s lives. She is a passionate Architect who always keeps an eye on the latest sustainability advances and architecture talks and exhibitions. It is difficult to know where Ester may be at weekends with her insatiable appetite for discovering new buildings, streets and art in cities around the world. 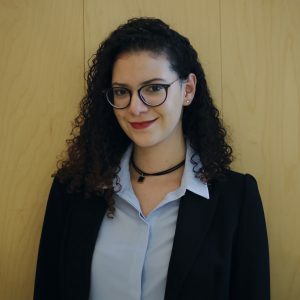 A self-professed global citizen always on the lookout for a new challenge, Marinela finally decided to settle in London where she became part of the BUJ family in 2018. As part of the Construction Team, Marinela’s main responsibilities are to transform ideas into drawings and designs into buildings. Her day to day duties include producing drawing packages, carrying out technical developments and assisting in the coordination of projects. Having completed her M.Arch at the UACEG in Sofia, Bulgaria, Marinela continued her professional experience in a variety of architectural companies both in her native country and abroad. With over 7 years of experience in designing and overseeing residential and commercial projects, Marinela specifically benefited from experience working on housing and Mixed-use schemes in London over the past 2 years. As a strong supporter of the principles of sustainability, her interests lie in the area of sustainable development and in achieving a more sustainable future. Marinela is a passionate salsa dancer and a devoted theatre and cinema fan. 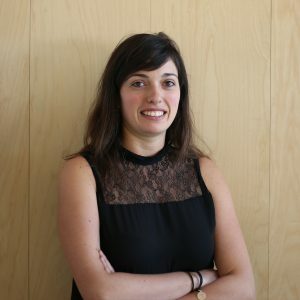 Born and raised in Burgos, a small town in the north of Spain, Sara has been living and working in London since 2014. Sara graduated as an Architect from the University of A Coruña in Spain. 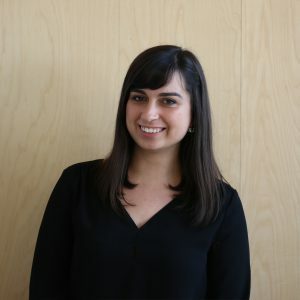 With almost three years of experience in the company, Sara is an Architect in the BUJ Planning Team, developing residential and commercial buildings. Sara likes literature and art, with an interest and remarkable capacity for Origami. Shruti completed her postgraduate Master’s Degree in Architecture at Kingston University in 2012. Shruti arrived at BUJ in 2017, joining the construction team as an Architectural Assistant. Her role involves the design of GA working drawings, flat layouts and schedules of accommodation. Shruti has relished working on large-scale projects at BUJ, finding it both challenging and fulfilling. Shruti has been working in the architecture and construction field since 2006, spending time at practices in both London and India. She graduated her BArch degree with distinction from Indubhai Parekh School of Architecture, India. She then continued her studies by completing a Masters from Kingston University, London. She regularly attends exhibitions to gain an enhanced understanding of new materials and technology. Shruti has experience in working in various sectors, including high end residential housing, apartments, education and commercial buildings. Shruti enjoys painting, artwork, photography and likes to explore historical buildings. In her spare time she likes to cook, read, and watch architectural and construction media. Richard joined BUJ in 1998 after graduating from Greenwich University. As a Project Coordinator, Richard is responsible for developing, coordinating and executing projects of varying sizes and complexities from RIBA stage 3 to stage 4 – 6, with a point of focus to retain the original design intent. With over 20 years’ experience in the Architectural Industry at BUJ dating back to 1998; developments include Residential, Hotels, Gyms and Mixed Use both in the UK and Barbados. His professional qualifications include: BA (Hons) Arch, B’Tec Dip & Revit Essentials. A married father of two, Richard enjoys DIY home improvements, cycling, running, football and fundraising for charity. He also enjoys debates or talks which provide an intellectual, articulate and uncompromising yet gracious perspective on issues concerning worldviews and truth claims. Ines has been an ARB registered Architect at BUJ since joining in the beginning of 2016. She completed her Architecture Master’s Degree in Lisbon, Portugal. 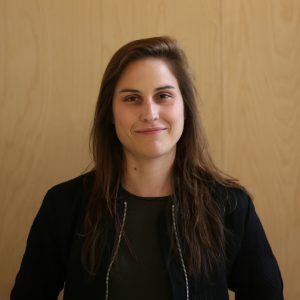 Working as an Architect for more than two years at BUJ Architects, Ines has been involved in several ongoing projects at all stages of planning from feasibility to completion as well as working through construction stages in conjunction with planning. 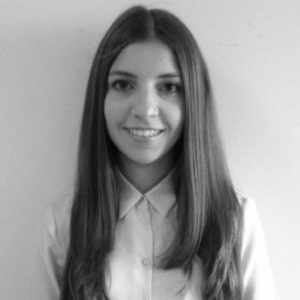 Ines previously worked as an Architectural Assistant in Torquay and in Seville, Spain. She finished her Master’s Degree in Architecture in the Faculty of Architecture in Lisbon, Portugal, and worked for three years as an exhibition assistant at Museu Berardo, a museum of modern and contemporary art. Ines enjoys creating and assembling hundreds of small origami pieces into 3D figures and items of jewellery. Whenever the sun comes out, Ines can be found outside enjoying the surrounding architecture, light and colours. One-time student president and unapologetic explorer Kristina joined BUJ in 2017. 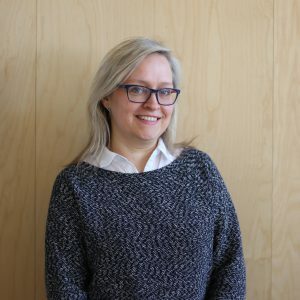 With over 18 years of work experience in predominantly the housing sector, Kristina’s current role at BUJ is to assist in the design and preparation of drawing packages, and construction management of large-scale schemes. Kristina’s favourite things about working at BUJ are seeing projects being realised and having the opportunity to meet interesting people both in the office and on-site. She also enjoys listening to the crashing waves of the river Thames on the office doorstep. 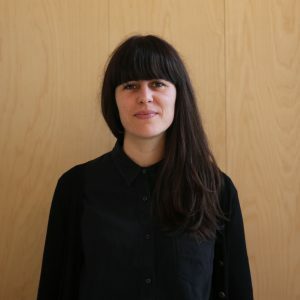 Kristina has studied and worked in London and Manchester since 2000 with previous roles at Agenda 21 Architects and PRP Architects as well as at her own studio. 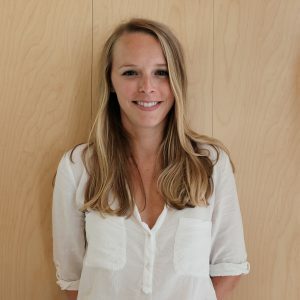 During her Part II studies at the London South Bank University Kristina was presented with the Student of the Year award before moving on to graduate with a Postgraduate diploma in Architecture at Kingston University in 2012. When not busy visiting the numerous museums and galleries which London has to offer, Kristina enjoys rambling with her family in the wild Kentish woodlands and on the pebbly seashores seeking to appease her ancestral pagan roots. She additionally enjoys attending design and building exhibitions and events. Commonly known as, ‘Dan’, he is a seasoned Project Architect with 17 years of experience in the design and delivery of mostly London-based residential projects. Landing at BUJ in 2017, Dan’s role as a Project Architect involves leading major post-planning projects across London. The scale and complexities of the projects involve ever-changing, and often unpredictable challenges meaning it is never boring. He reckons the office culture is supportive and promotes contribution from everyone. Everyone enjoys a great location on the river just a few minutes’ walk from the world-famous (he reckons) Cutty Sark. 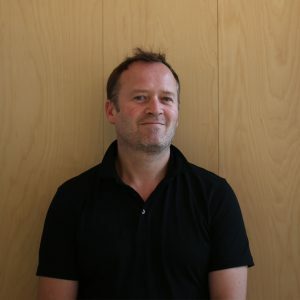 After graduating from Liverpool University in ’96, and Oxford Brookes in 2000, he spent the ‘00’s working on the design and delivery of numerous high profile new build residential projects for Davy Smith and Stock Woolstencroft. Dan cultivated top notch conservation skills during numerous years at Paul Davis + Partners in Belgravia where he also worked up high-profile, high-value projects, some of serious historical significance, but all equally challenging & rewarding. Now at BUJ, he has returned to his first love of cutting-edge new build architecture and urban design. Dan never leaves the house without his shades, an umbrella and headphones to drown out the noise of the city/bad music. Though currently studying a list of things, Dan’s priority is, as ever, to sort out the garden. Dan’s spare time is for friends and family, and pursuing new experiences / checking out new places. He is a a keen squash player and (commuter) cyclist – have you ever tried cycling for pleasure in Crystal Palace?! Experienced and enthusiastic Interior Designer with 10+ years of adding design, colour and life to residential and commercial spaces. Kshma joined BUJ in 2013 and forms a key part of the Interior Design and Construction team where her core focus has been designing residential and commercial spaces including the production of construction drawings, detailed designs and end to end project management. Straight from design school, Kshma was chosen to be a part of the interiors team at Sanjay Puri Architects in Mumbai, amongst the top two luxury residential and commercial space designers in India. During her time with Sanjay Puri, Kshma primarily focussed on designing residential houses and villas for HNIs, accomplished entrepreneurs and C-Suites in India and around the world. 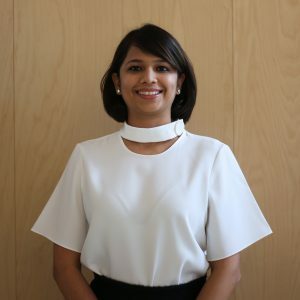 Having spent just under 6 years at the firm, Kshma developed a unique eye for detail and a taste for style and luxury which led to her relocating to London and joining BUJ. Kshma is a big travel enthusiast and loves travelling around cities and the countryside alike, exploring new cultures, cuisine and people. 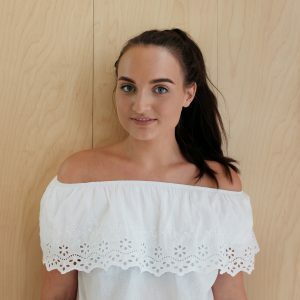 Her travel diaries range from seeing the northern lights in the icy winters of northern Norway, to visiting the beautiful beaches of Australia. Being a complete foodie, Kshma also likes trying various cuisines and is a cook in the making. Catriona joined BUJ Architects in 2013, having moved with her family to London from Ireland to broaden her architectural experience. As an Associate at BUJ, Catriona’s day to day responsibilities centre on her role as one of the Planning & Design Leads. She has successfully managed multiple large-scale and high-profile projects for BUJ through concept, design and planning stages. Catriona has also recently been managing projects through the later RIBA stages, enjoying the new challenges that have presented themselves as part of these processes. Catriona studied the History of Art and Architecture at Trinity College Dublin, before going on to complete her architectural studies at Griffith College. She previously worked as an Architectural Assistant for John Fleming Architects and McLoughlin Architecture in Ireland, before setting up her own design consultancy in 2009. Catriona has also been involved with exhibition and furniture design, as well as experience teaching art classes. As the mother of three sons, Catriona’s spare time is precious and short-lived! Any opportunity to read or assemble Ikea furniture is treasured. Baking and trips to the forest also feature heavily, as, unfortunately, do Power Rangers episodes. Tamara obtained her M.Sc. 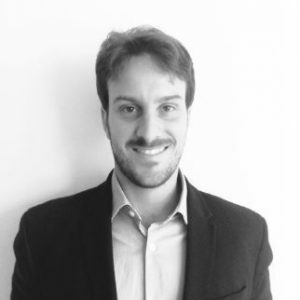 Degree in Architecture at the Polytechnic University of Turin (Italy) and has been working as an Architectural Assistant at BUJ since 2018. Tamara is part of the Planning Team and is responsible for producing CAD drawings, 3D models and imagery. 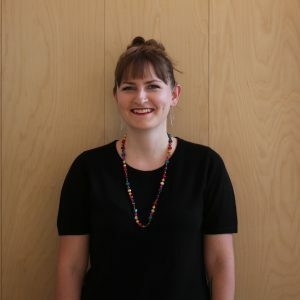 Having completed her Master of Science Degree in Architecture at the Polytechnic University of Turin in 2017, Tamara moved to Tenerife where she worked as an Architectural Intern. 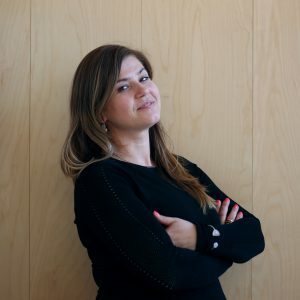 After some time Tamara decided to settle in London and joined the BUJ Team in 2018. Tamara enjoys travelling, exploring new cities and taking photographs of her many interests. David has been a key member of the BUJ family since 2014. As an architect, David offers his services across all RIBA work stages. He has fulfilled various roles throughout his 4 years at BUJ, from feasibility stage and brief definition through to delivery and handover. After completing his 4-year Bachelor of Commerce (Hons) degree, David gained 7 years of formal architectural education including a Bachelor of Science (Hons) degree in Architecture, Master of Architecture and Postgraduate Diploma in Architectural Practice. He has worked in the architectural industry for 5 years and is well positioned to view projects from both a commercial and design perspective. David believes it is possible to be both a Beatle and a Stone. He is optimistic that Liam and Noel Gallagher will one day get along. He can often be overheard complaining about the current state of music but he only sits at concerts these days. He likes to draw. He watches rugby and knows a bit about it, attends horseracing and knows very little about it. He thinks that Die Hard is the greatest movie of all time. Having started her architectural career as a school leaver, in a small office in Bulawayo, Zimbabwe, Shonnah qualified in South Africa in 1995 and joined BUJ in 2017. “Attention to detail” is Shonnah’s mantra. She has been around since drawing boards and Rotring pens but has now fully converted to CAD and modern technology. A case of an “old dog learning new tricks”, Shonnah has been introduced to a different approach to Architectural Practice in the UK, finding the differing processes interesting and benefiting from learning new approaches. Schooled in the then colonial Rhodesia, and out to work straight from school, Shonnah spent a fruitful number of years as a Technologist in offices in Zimbabwe and South Africa, honing her skills until an employer encouraged her to sit for the SACA Registration by Experience exams. She passed all stages and became the first female to qualify this way. Shonnah ran a small practice from home as her children were growing up and subsequently joined MDS, a large commercial and retail practice in Sandton, Johannesburg. There she developed her talents and experience further and on leaving to come to live in the UK, was a Senior Associate at the firm. Shonnah is a keen plant lover and gardener, with a love of the outdoors and wildlife. With an interest in developing her artistic side, she dabbles in art appreciation and practice, and is fairly accomplished with handcrafts. Travel is a passion and now that she is based in London, she intends making the odd sorti over the Channel to see the sights of Europe with any like-minded companions welcome to join her. She recently ticked off a Bucket List item when she and the family visited Iceland and were blessed with a glorious Aurora Borealis display! 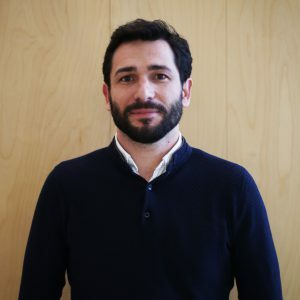 Nomad BIM specialist Sergio settled down at BUJ in 2018 after graduating his MSc BIM management degree at the University of Westminster. As a BIM Manager at BUJ, Sergio’s main duty has been to develop an implementation plan to accomplish BIM level 1 and looking towards further development to BIM level 2. The plan is intended to strategically align technical, commercial, and legal BIM processes under a set of adopted standards, protocols and policies. Sergio has focussed his efforts on addressing the workflows and procedures of projects in order to increase effectiveness and reduce inconsistences. Sergio has worked and studied since enrolling in a draughtsmen higher certificate in 2000. It was during this time that his passion for architecture and construction sparked, compelling him to enrol in higher studies in Barcelona, firstly in Technical Architecture and subsequently in Architecture. On graduating in 2013, he spent two years working and studying English and REVIT in Australia. This experience led to high-end BIM masters degrees which have brought him to study and work in London. 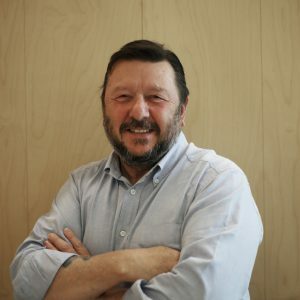 Sergio has over 10 years’ experience in the industry and, previous to joining BUJ, benefitted from working with Barcelona-based BRD & associates where he developed a large number of public buildings and schools. Sergio’s interest for discovering new architectures and urban spaces has shaped his hunger for travelling. From his early 20’s onwards he has backpacked across many countries, trying to embrace and absorb the cultures he has found along the way. With his travel, Sergio developed concerns for the environment and a keen interest in sustainable practice. His lifestyle is now based on being in balance with nature, with mountain cycling as a daily ritual combined with spending his weekends hiking and climbing. There has never been a summit too high, or a hiking path too long, in either Sergio’s personal or professional life. Mike joined BUJ in 1997 in the wave of New Labour / Brit pop optimism which infused the times to lead teams involved in the delivery of working drawings. 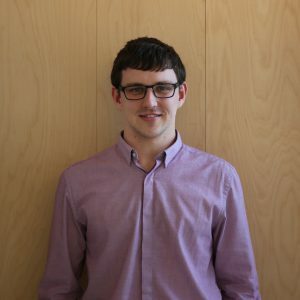 Mike is a Project Architect and latterly Senior Associate, who concentrates on the construction side of the practice. This role has widened over the years to include Health and safety, CAD management and the dispensing of sage wisdom. 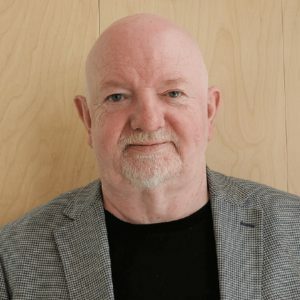 He studied at The Polytechnic of the South Bank and qualified in 1984 after which he spent some time working in smaller practices gaining a thorough understanding of the processes by which buildings are designed, procured and constructed. This was then put to good use in seven years of Healthcare works with FDE Architects before his move to BUJ switched the focus to increasingly large scale urban residential schemes. 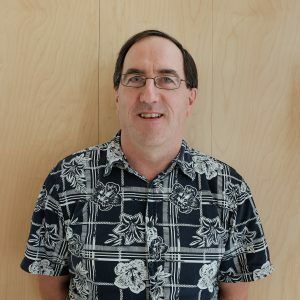 Coming from the generation who collected and were interested in everything, Mike has too many interests to list but a precis would be: gardening in theory and practice, botany including a lifelong interest in carnivorous plants, cacti and succulents. Mike is currently the Secretary of the Bromley Branch of the British Cactus and Succulent Society and in 2017 was co-author of book ‘Smaller Opuntias’. Other interests include Bonsai, Japanese gardens, photography, landscape and geology, science and science fiction, Archaeology and local history (think Hoskins) Folk and progressive rock music. Creative Director Joseph joined BUJ in 2016 two days after graduating his MArch degree with distinction from the University of Greenwich. As a hands-on Creative Director at BUJ, Joseph primarily carries the responsibility of managing the creative output and brand identity of the practice. Since joining BUJ in 2016, Joseph has focussed on developing the BUJ brand across all facets of visual identity by instilling clear art direction, supplying the team with design guidance and by filling an active production role in the creation of compelling content. 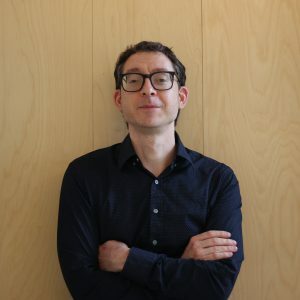 His responsibilities include overseeing and conducting the research and analysis of Architectural and broader design markets to support the employment of emerging digital methods in forms of output and advertising from the practice. 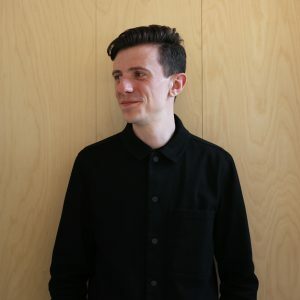 With over 6 years’ experience in the Architectural industry, Joseph has studied and worked in London since 2013, with previous roles at 23 Architecture, Guy Stansfeld Architects & Norton Ellis Architects. 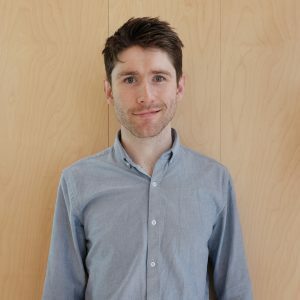 As an architecturally inclined storyteller Joseph has exhibited his architectural and illustrative works in exhibitions across London as well as acting as a visiting design critic for the University of Greenwich. 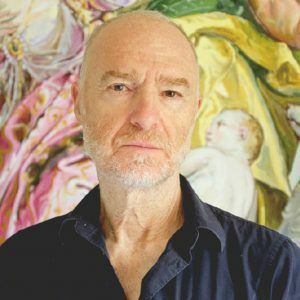 Joseph regularly attends talks, events and exhibitions within the Architectural industry and in broader design fields, both in London and further afield, with past visits including the Milan Expo and the Venice Biennale. A proud Yorkshireman, he is rarely without a cuppa in one hand and his camera in the other. Joseph can be found struggling to conjugate verbs or place prepositions in the hope of communicating with his Italian Mother-in-law one day. Born and raised in Madrid, Victoria finished her degree in Architectural Technology at the same time as packing her things to move to London. With more than 3 years’ experience in commercial projects, Victoria joined the BUJ construction team to improve her career within the residential environment. Currently working on a major London-based, mixed-use project, Victoria is responsible for producing and coordinating the technical information for the team. Victoria graduated as an Architectural Technologist with the Polytechnic University of Madrid in 2015. She is passionate about the city she lives in and loves to spend time discovering the hidden gems of London. On the other hand, you might find her hidden in the kitchen trying to improve her cooking skills.